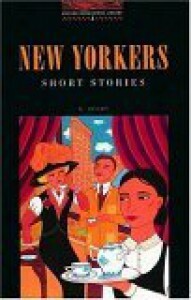 New Yorkers Short Stories (Oxford Bookworms Library) - M's blog. Read this book for the first time a few years ago. Reread it again yesterday and still love it. O. Henry's stories give you vivid pictures of lives of New Yorkers. Some are rich, some are poor, some are happy, some are sad, some have found love, some are looking for love. The only thing that I dislike is that it's kinda annoying to read in Stage 2, Oxford. Too many easy words take away the original feeling of the stories.